Use this painting maker to create beautiful art effects for photos! There are a lot of different painting effects on photo that you can try in our painting image editor! 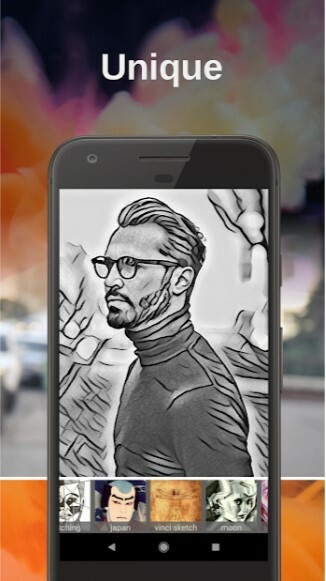 You can make a sketch from photo, create a blur background really automagically very fast and easy. If you were looking for great effects for pictures, this painting editor is what you need. How to make a sketch of my photo? Just try various art effects for photos that you will find in our style photo editor. ★ Blur background (background defocus). 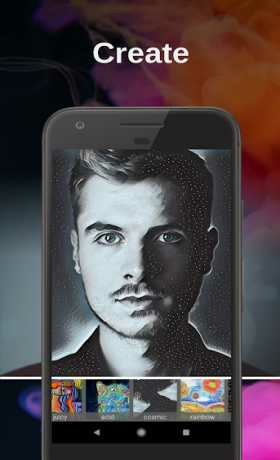 Using Photo Touch Art painting maker you will be able to blur out background and make an awesome bokeh effect easily. 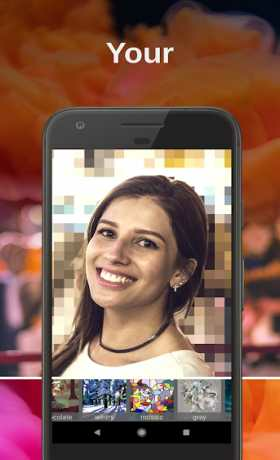 You even do not have to do anything, because special effect blur camera automatically detects people on your photos and it can blur bokeh background by itself. Painting maker is able to combine style of famous artworks with your photo and produce wonderful painting effects on photo. For example, this art filter app has such art effects for photos as: oil painting effect, pop art filter, retro filter and much more. 1. Pick an image from your gallery or take a shot with your camera. 2. Choose one of the cool effects for pictures. 3. Activate automatic background defocus to make a bokeh effect and to place blur on photo. 4. Tune the chosen image filter to get the desirable painting effect. 5. Use a brush tool to blur out certain parts of a picture or, for example, blur face on picture or just blur background. 6. Share your brilliant painting with your friends and let them know about our painting maker! You can make many cool painting effects on photo using our painting image editor. It is very easy to create a real sketch from photo with this painting editor. Also it is really handy for such tasks as blur defocus to create a nice effect bokeh and blur out background. If you want to support us or if you have any questions or desires, please, give a review to this painting maker on Google Play in a review section below.